It's starting to look very much like the next Call of Duty will be Black Ops 3. The suggestion that the next Call of Duty will be Black Ops 3 first came to light earlier this week, thanks to a viral marketing effort on the part of Activision. Now we've got this trailer, leaked [Update: posted by, that is, though Activision hasn't confirmed its source] YouTube user TmarTn, and it seems pretty clear: Blops is back! As Shaun mentioned on Monday, it's not entirely surprising: Treyarch is the Call of Duty studio for 2015, and Treyarch, as we know, does Black Ops. The teaser looks awfully legit, too, and fits with our expectations. It's not official confirmation of Blops 3, but I think it's fair to say we're getting there. Update 2: Treyarch has all but confirmed that Black Ops 3 is coming, and that the April 26 reveal date is legit. 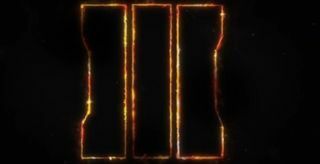 "It feels good to be back," the studio tweeted a few minutes ago, accompanied by an image of the "III" that appeared in the trailer. "It feels even better to be #BackInBlack. Let's do this." Update 3: And now Activision has nailed it down with a tweet of its own. "It's official—@CallofDuty Black Ops III is coming this year from @Treyarch," it wrote. The tweet also contained a link to an Activision blog post confirming the April 26 reveal date, and hinted that, while the cat is now out of the bag, "new intel" may continue to turn up between now and then.